3) Where do you want to travel? (Everywhere I can. But specifically all over France, a royal tour of South Africa, Turkey, Kenya and Tanzania, the Holy Land, Machu Picchu, and Vietnam.) In other words…everywhere. Obviously I am passionate about travel and seeing the world. 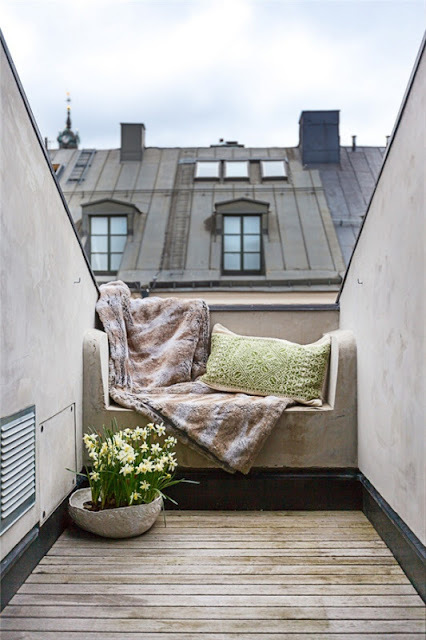 This weekend, I want to curl up with a good book (I am currently reading Death on the Nile by Agatha Christie and loving it) right here in this cozy Paris terrace. Sadly, I do not have a source for this image, so if you know it, please pass it along. Oooh, I love a good Agatha Christie book! I can’t remember if I’ve read Death on the Nile or not… they all kind of run together after a bit!